HomeAmps/DACSSchiit Magni 2 Review | ALL YOU NEED? 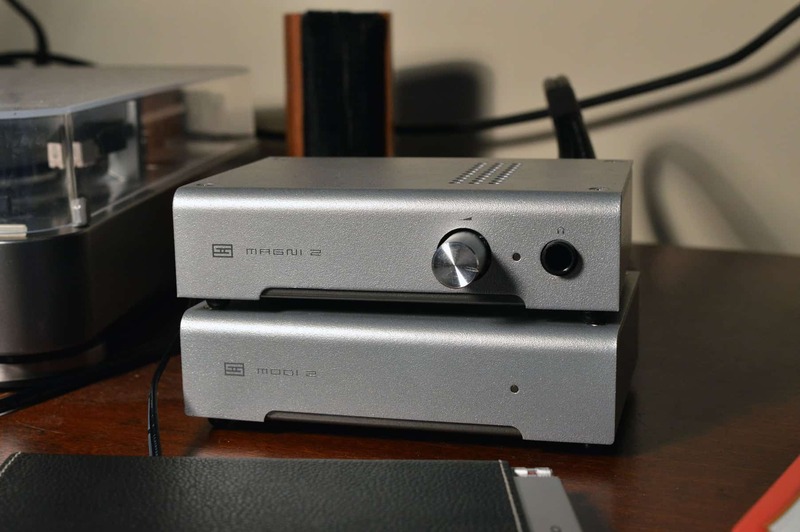 Before we get into the Schiit Magni 2 review, grab a snack, sit back and relax because.. I did a lot of research before making the decision to get the Schiit Magni 2, and I’m “Uber” glad I did. That was my attempt at a pun, but since I don’t own the Uber model of the Magni, it didn’t really work out. 😛 If you want to see my comparison of the two, check out Magni 2 vs. Magni 2 Uber. The difference is pretty simple. As for the wonderful Magni 2, it’s a lifesaver. The reason why is because of it’s less than 0.2 output impedance. What does that even mean? What is Output Impedance? Well I’m glad you asked. Basically it means that the Magni will power 99% of headphones with relative ease. The technical reasons are beyond the scope of this review. Instead I will point you to an article I wrote on the topic. See: What is Headphone Impedance? This will cover output impedance as well, and you’ll understand why most headphones work very well with the Magni. I consider the Magni 2 the best, but I also throw in a couple more amps in the article The best headphone amp for the money. I would recommend the Magni above all else, as it’s super easy to use, has a great build, and feels extremely solid. If you’re looking for a more portable option, you may opt for the FiiO E10K or something like the Audioquest Dragonfly. Works will nearly all headphones. There will be some exceptions, but for 99% of cans, you’ll be golden. Easy to use. It comes with a power supply, and you hook it up to your PC via USB. All you need is the PYST RCA cables (or the Monoprice which I use and are a lot cheaper! ), which hook from the back of your DAC to the back of the Magni. (I recommend pairing the Magni with the Modi DAC). Check out Joshua Valour’s video review on the updated Magni 3. Subscribe to his channel as well! This is an amp that you’ll want to pair with a headphone like the HD600, and it works well with most impedance models. The Sennheiser HD600 is 300 Ohms, and it powers them with ease. I only have to turn the knob to about 11 o’clock to get a loud enough sound. How to choose a Headphone Amp! The Sennheiser HD600’s, or another similar open back headphone that requires good amplification. Because the 600 is the gold standard, I always recommend it first. A male to B male USB cable. I use the Monoprice RCA cables. They’re really rugged and of a high quality. Run the RCA cables from the Modi to the Magni. Run the A male to B male USB cable from the Modi to a good USB port on your computer. Your computer will now recognize the device. When it installs successfully, go to Control Panel > Sound, and look for the Modi on that list. Right click > Set as default device. The On/Off switch is on the back to the left. The Hi/Lo switch is on the back to the right. This comes in handy for me when ripping vinyl to FLAC or WAV, as the sound isn’t quite loud enough without using that switch. Solid, durable, easy to use, and works with most headphones. Not much else to say! It’s the perfect combo with nearly any headphone. SEE THE UPGRADED MAGNI 3 FOR YOURSELF ON AMAZON!! Well that’s about it for today my friend! I hope you’ve enjoyed this Schiit Magni 2 Review. Do these tickle YOUR pickle? Would you invest the Magni 2? I would love to hear from you. Until next time..